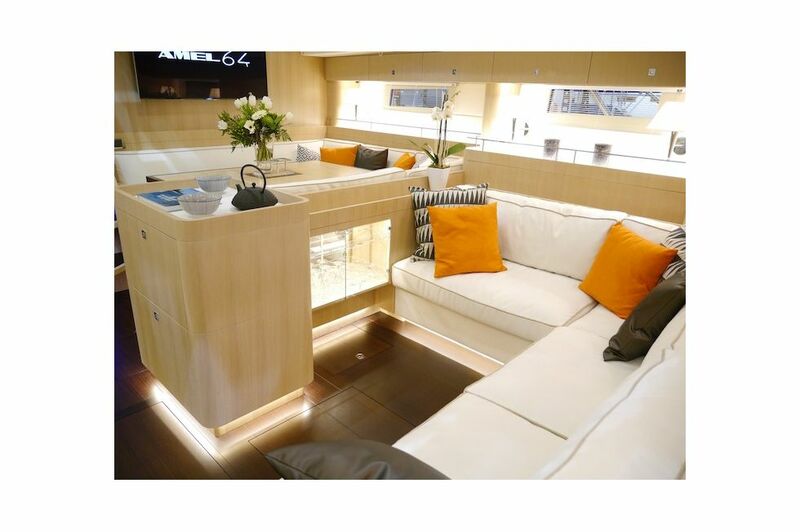 With the AMEL 64, the AMEL Yard reaches another dimension and realizes the dream of a boatbuilder in the most beautiful expression of its art. 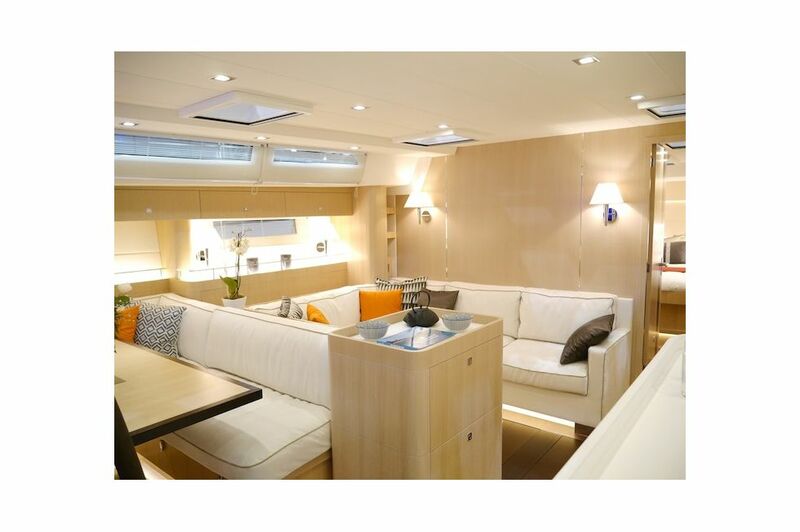 The size and design of this sailing yacht, launched in 2010, allow the integration of a true dinghy garage and, as an option, a skippers cabin. 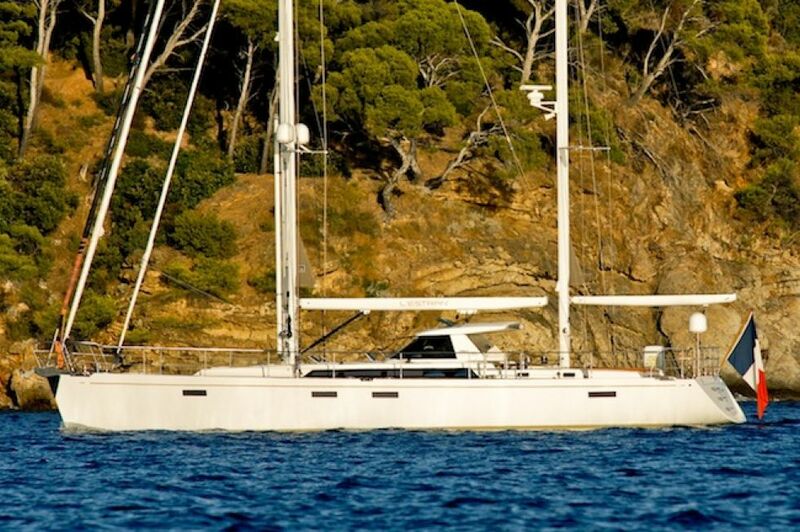 This ketch with pure and modern lines shows a strong identity. Her performance and seaworthiness have an equal only to her beauty. 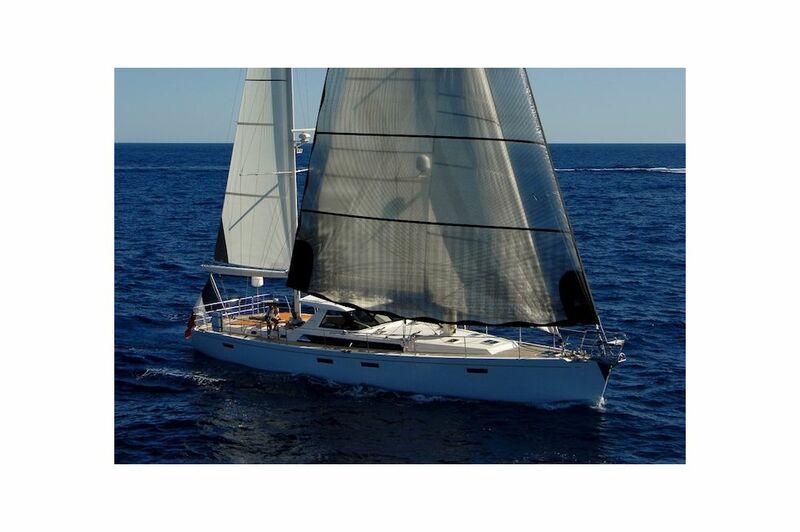 Faithful to the AMEL spirit, both by the quality of her construction and by the level of her equipment, the AMEL 64 reveals a refined design and absolute comfort. 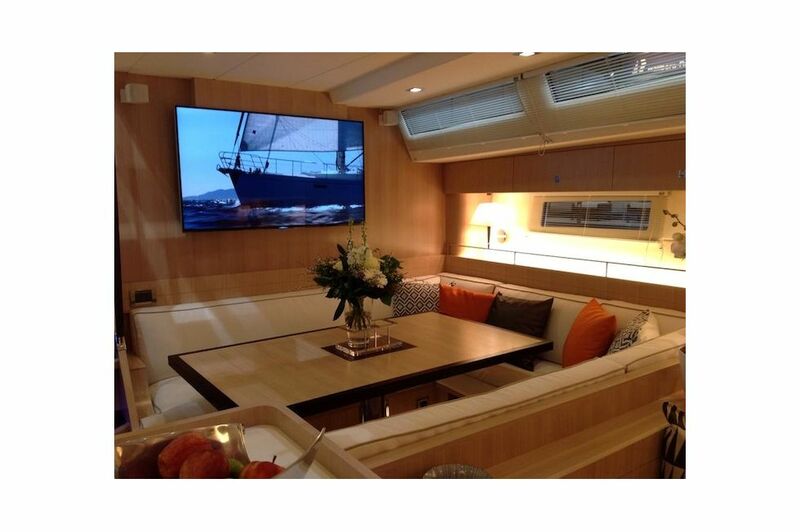 Like all our yachts and despite her length, the AMEL 64 remains easy to handle. 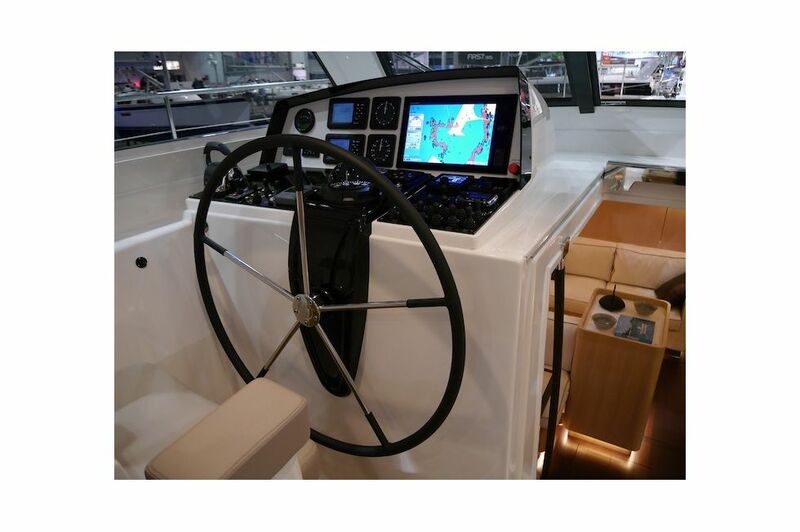 The many items of equipment designed to assist in handling the yacht almost make you forget that you are aboard a 64 footer. Electric furlers for all the sails, retractable bow and stern thrusters, electric winches, and all the controls centralized in the cockpit ensure the manoeuvres are carried out in serenity and always with excellent visibility. 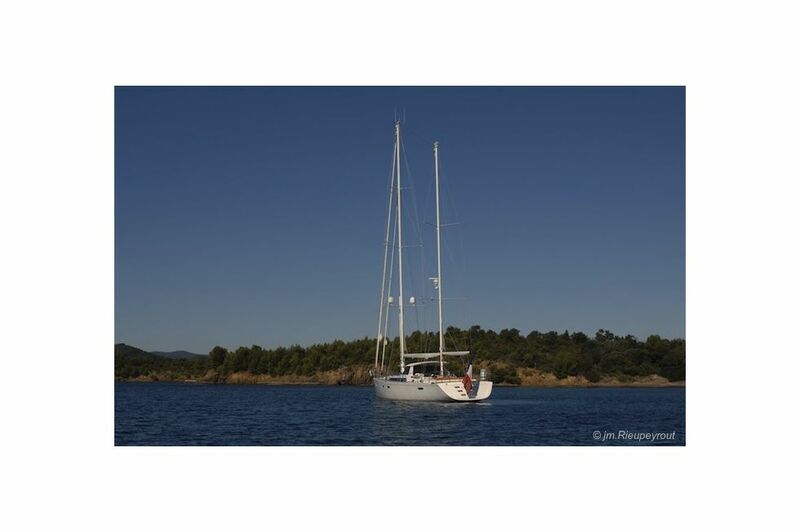 Designed for cruising programs, the AMEL 64 does not have to be ashamed with her performance, thanks to her long waterline and to her technically developed design. 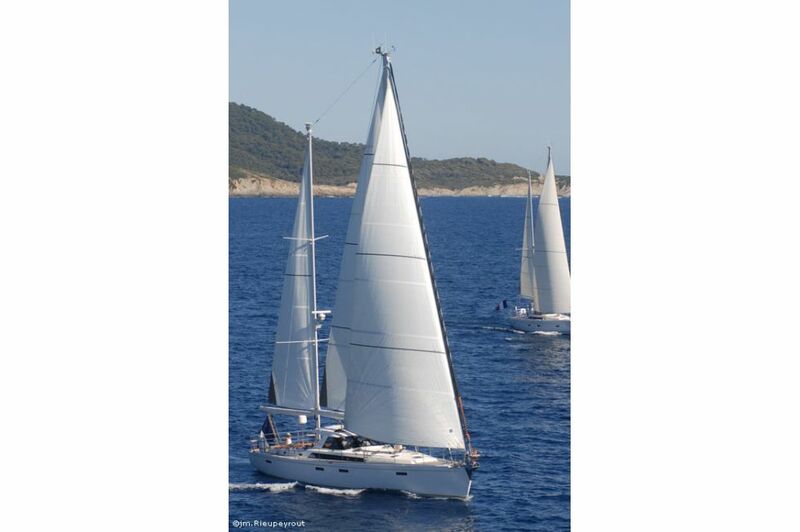 Furthermore, with her fine entrance to the water and her low cut genoa, she is extremely responsive, taking maximum advantage of wind lifts and always with the optimum comfort at sea. Here is the AMEL spirit, in this secure and cosy central cockpit. The rigid extension to the cockpit shelter is electrically controlled and slides out to protect the whole cockpit area. 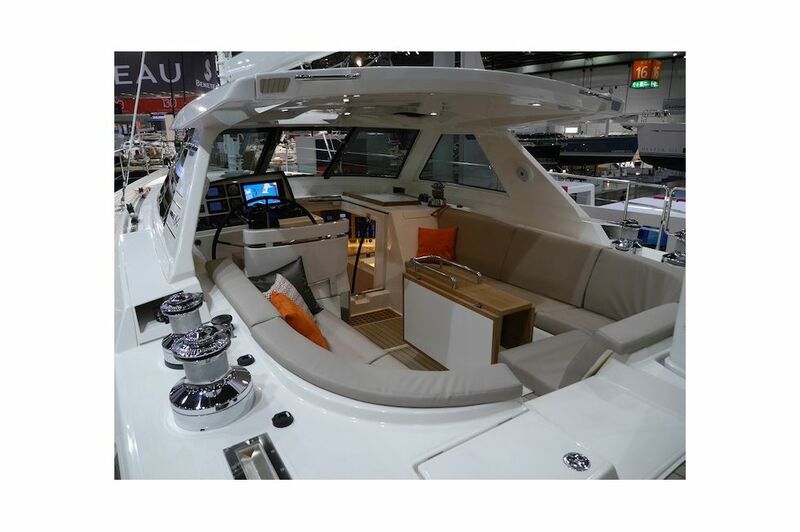 At anchor, the use of the tender is child's play, the opening of the transom as well as the launching and recovery of the tender are controlled remotely. 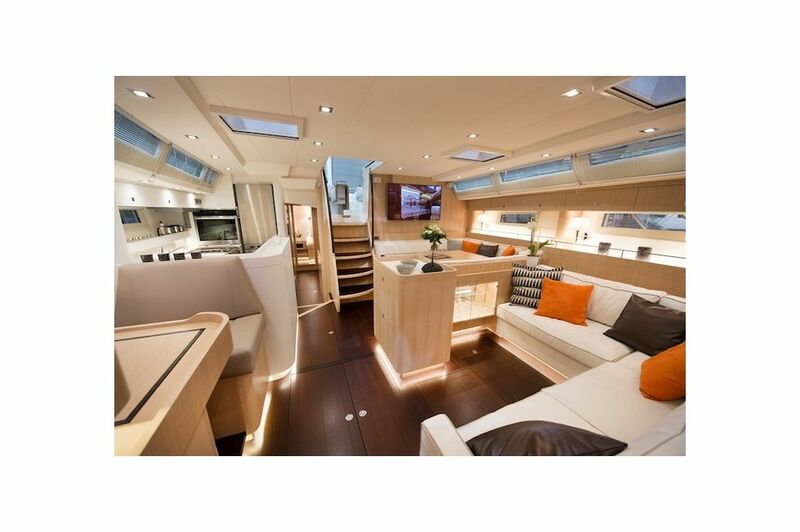 A particular care is brought to the selection of the wood parts and materials. The American walnut, the "chic" and sophisticated fabrics, the furniture with smooth and modern lines create a refined and smart interior. Spaces are open to each other and engender generous volumes. 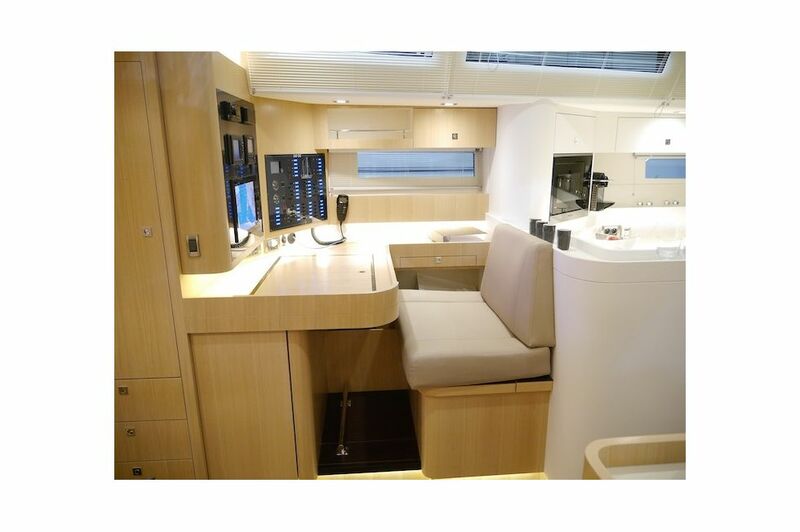 Forward of the galley to starboard is the spacious and functional navigation station, with all the electronics and instruments. 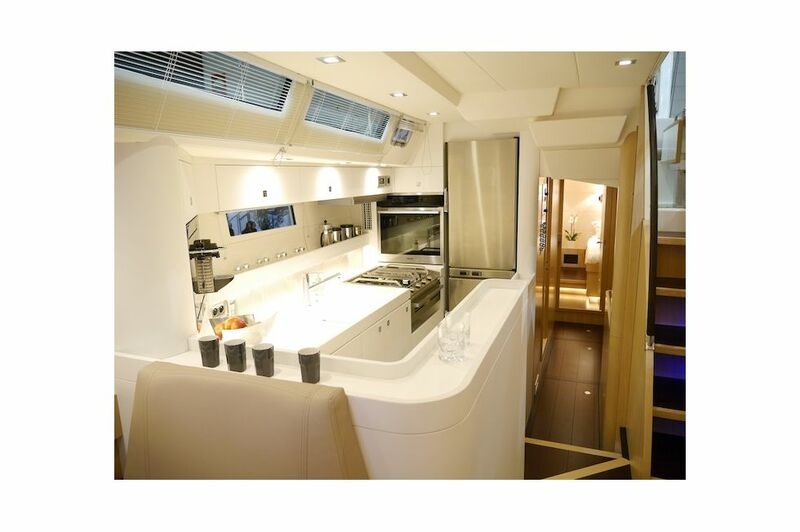 In the perfectly designed and fitted galley, the chefs can express all their art, keeping in designed and fitted galley, the chefs can express all their art, keeping in touch with their guests. Indeed, the open lounging area and dining space are simply separated by a bar and a cupboard. 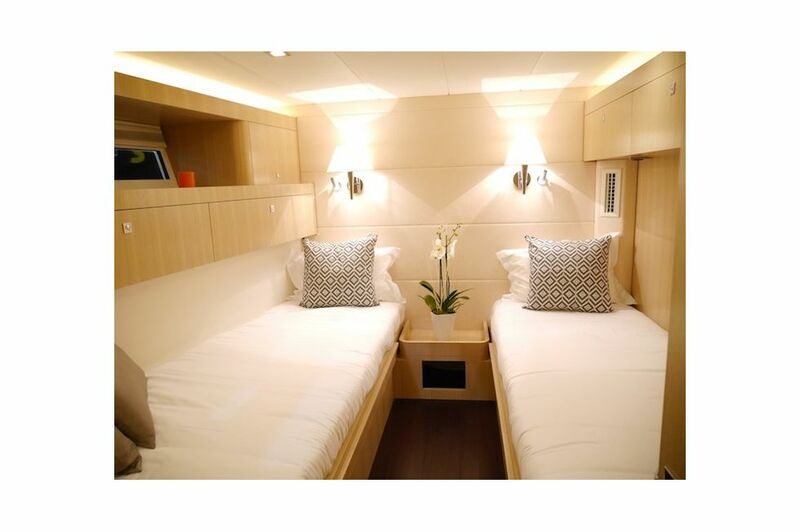 The AMEL 64 offers three luxurious, bright and spacious cabins. 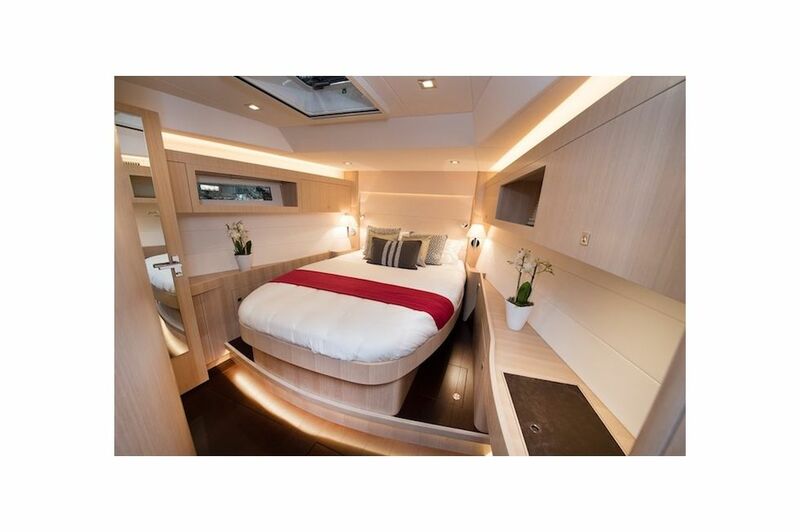 At the bow, the owner has a wide central bed, numerous stowage spaces with drawers, cupboards, hanging lockers and plenty of room under the cabin sole. 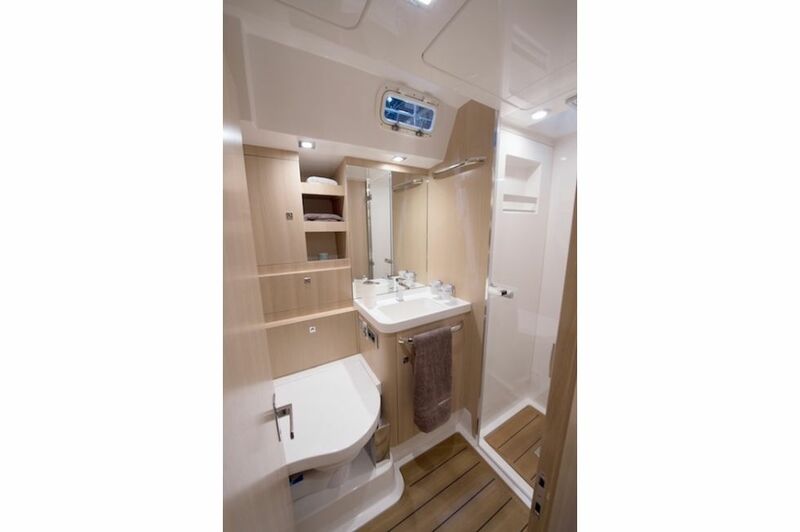 The luxurious bathroom is ensuite with the cabin and remains private. 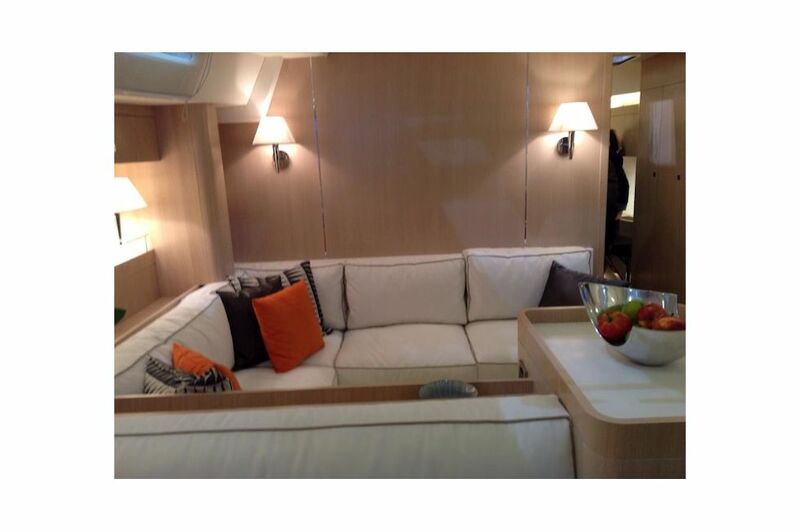 To starboard is a dressing table/desk with a foldaway seat. 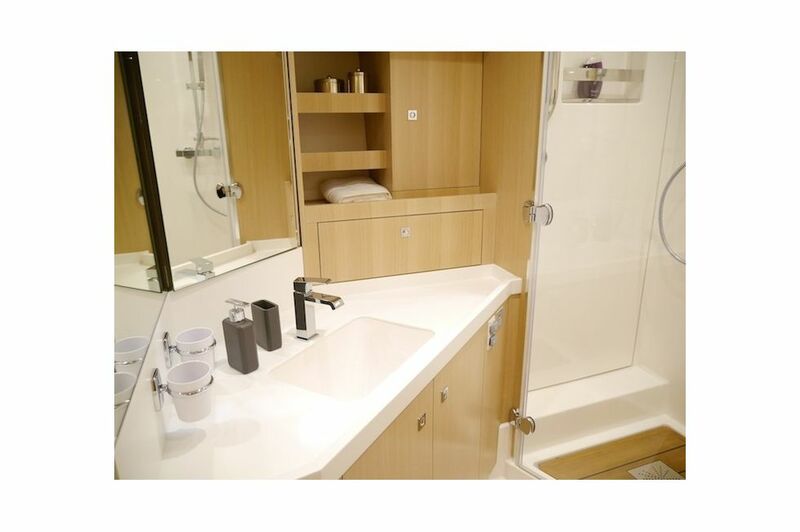 At the aft end, two double guest cabins are fully equipped with private bathrooms. 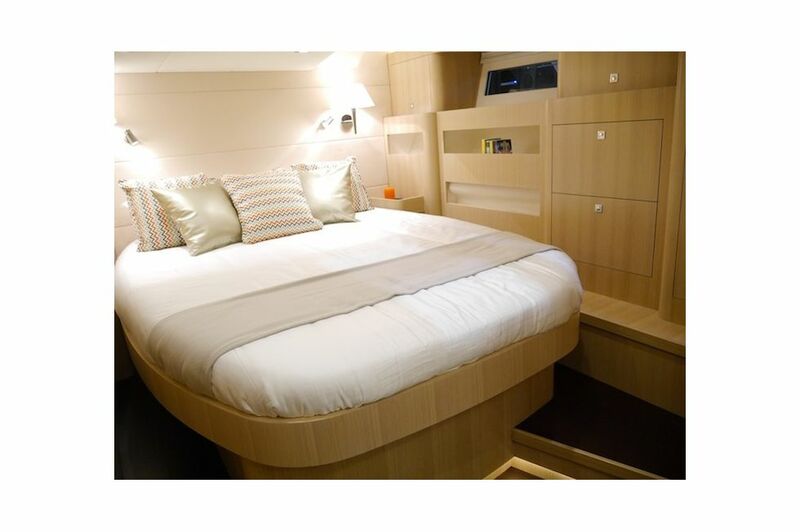 These accommodation areas are light and well ventilated thanks to the numerous hatches and portholes and throughout are finished with exotic wood, stainless steel, leather and refined fabrics. A subtle and smart style with elegance, “à la française”.